Recent news has many people thinking about their safety. As reported in the Province and on CBC, 13 people were hospitalized in one day from carbon monoxide poisoning. Upon investigation, Fortis B.C. traced the leak to a faulty gas boiler in the office building. This event followed another one in May when two young children lost consciousness aboard a boat in Indian Arm. The source of the leak was the boat’s inboard motor. All the afflicted people in these two events survived, although two from the office building remain in critical condition. In both cases, help arrived in time. Carbon monoxide or CO is a colorless, odorless gas that cannot be detected by our normal human senses. When CO enters the lungs, it combines with hemoglobin to produce carboxyhemoglobin (HbCO) which prevents the blood from carrying oxygen. Symptoms of CO poisoning include headache, dizziness, weakness, chest pain, vomiting, confusion, unconsciousness and in severe cases, death. As the public awareness of potential danger increased as a result, there has been an increase in demand for CO detectors. It is important to know that gas leaks are extremely rare, but the purchase of a CO sensor is probably a prudent idea, if only for one’s peace of mind. They can be found at home supply companies, London Drugs, and HVAC companies such as Pro Ace Heating, for about $40. If you buy one, it can be placed almost anywhere in the home or office as the gas has nearly the same density as the air circulating in your rooms. In homes, it is recommended to place a detector near each sleeping area. Gas leaks occur when the gas unit—furnace, boiler, fireplace, etc.—produces an incomplete combustion of air and gas. Gas heating units are designed to shut down when the CO level exceeds 10 parts per million. Most CO detectors are battery operated and come equipped with a battery test button. The gas sensor in the unit can only be tested with an external source of test gas. Contact Fortis B.C. or Pro Ace Heating for more information about testing your unit. 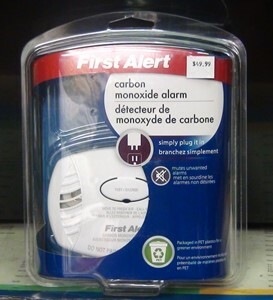 Kidde advertises a CO alarm with a sealed lithium battery designed to last ten years. A built-in timer alerts the user when the ten year time period has expired. Pro Ace Heating and Air Conditioning has been installing, servicing and repairing HVAC units for over twenty years and have a client base of over 80,000 people. Pro Ace offers free advice on any HVAC concern at any time of the day and a 24 hour emergency response service. They also maintain a supply of CO detectors and will advise on which units are optimal for your building. Also remember to get your heating units checked on a regular basis. Pro Ace uses state-of-the-art Tablet technology which ensures that all safety checks are performed in detail. If you have not yet put into place a regular scheduled servicing of your heating units, call Pro Ace to set one up. This is probably the most important thing you can do to maintain the safety of your home and office.